Mexican food is one of the most diverse and delicious cuisines in the world (at least in my opinion). However, when people in North America often think of Mexican food they think of simple ground beef tacos or chicken fajitas made from the help of our friend, Old El Paso. 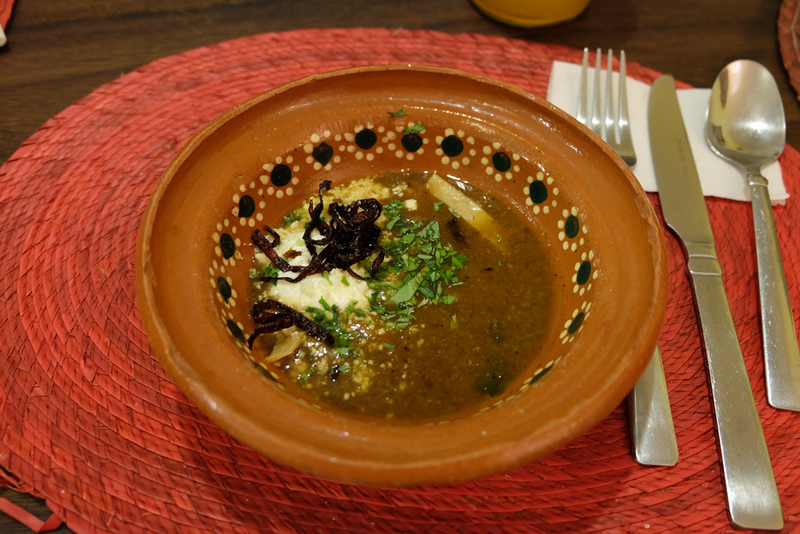 I find that very few people have really explored the different flavours of the Mexican cuisine, even some people that have traveled to Mexico and only stayed on all-inclusive resorts haven’t. 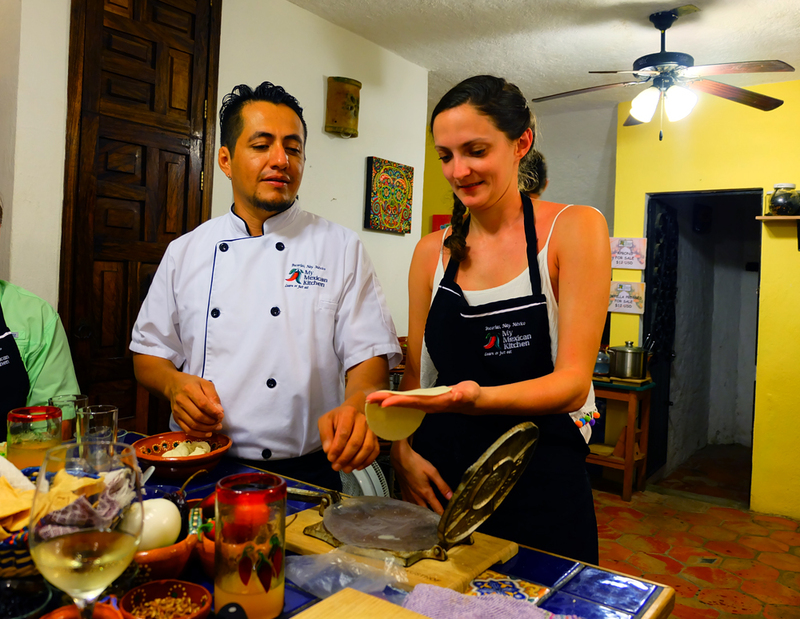 So if you’re looking for a unique way to explore everything Mexican food has to offer, a cooking class can be a great option! I’ve done a few cooking classes in my lifetime (two in Jordan and one in India) and although I may not necessarily try and replicate the menu at home, I find that they are a great way to learn about the local cuisine and also to learn what goes into the food we’re eating. 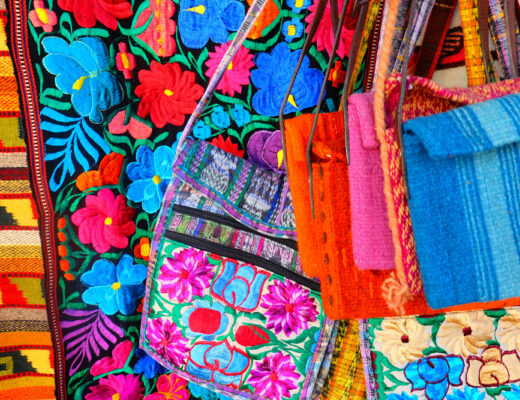 Recently I took a trip to Mexico and as you all probably know from my blog by now, I like to travel authentically and experience the real side of a country. Not just the side that you experience when you’re sitting on a beach outside of an all-inclusive (not like I don’t enjoy this sometimes too). A few years ago (2014) when in Mexico, my mom had the guys behind My Mexican Kitchen located in Bucerias, Mexico cater a meal at our condo we were renting for my sisters boyfriends birthday. The meal was fabulous and the masterminds behind it, Edgar and Travis were such kindhearted people who really have a passion for Mexican food and wanted to share that with people. So when I returned to Mexico this year, I knew I wanted to take a cooking class at My Mexican Kitchen. 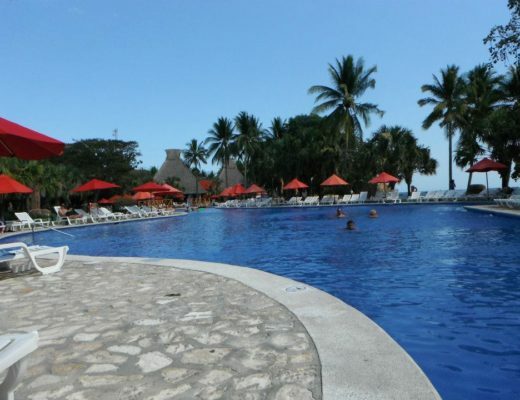 My Mexican Kitchen is located right in the heart of Bucerias, so even if you are staying at a resort it’s a simple and inexpensive taxi ride or bus ride from Nuevo Vallarta, and really isn’t that inconvenient to get to from Puerto Vallarta either (some information on transportation here). In Mexico, cooking is a huge part of a household. The cooking process is a time to come together, just as much as the dining experience is. 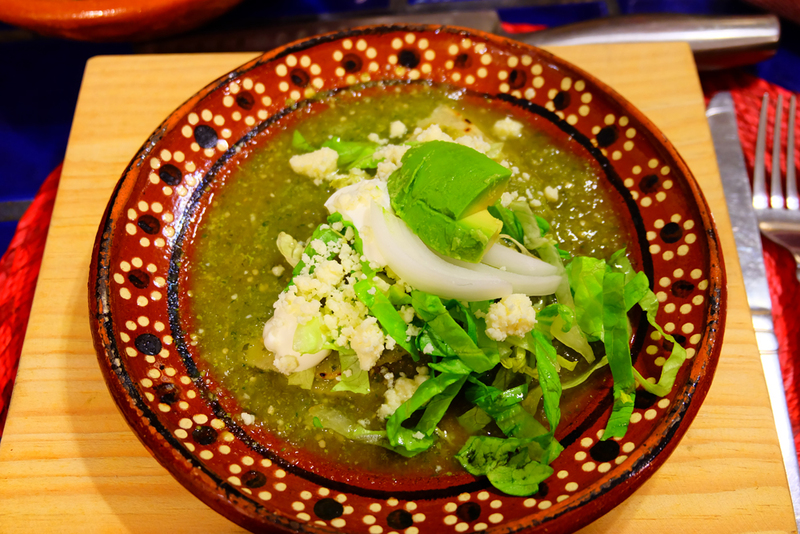 At My Mexican Kitchen, you have the unique opportunity to have this authentic experience. Almost nightly during high season, Edgar and Travis host cooking classes for groups of around eight people. 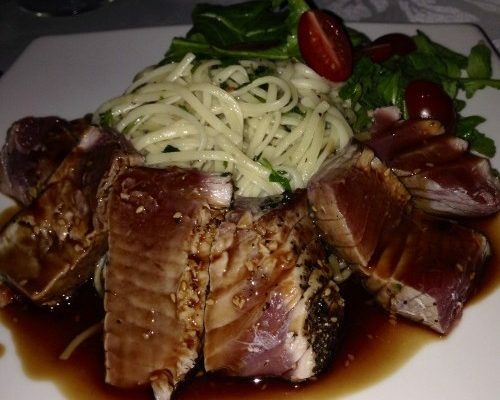 The classes range from salsas and appetizers, five course dinners and seafood classes, and costs run from $65-$85 USD. When I visited, I did the five course dinner class. This class teaches you how to make an appetizer, soup, main dish, side dishes, dessert and coffee. They also try to never repeat menu items for those that are returning to do a cooking class, which means you never have to worry about learning how to make the same thing if you are thinking of doing more than one class. The My Mexican Kitchen space consists of an open kitchen with one family high-top table where you’ll learn about the ingredients, help chop or prepare the ingredients, and also see how everything is made. You’ll eat the appetizer at this table and then move over to a lower table where you’ll enjoy the soup, main course and dessert. Before you start anything, you’ll learn to make an aquas fresca which is a beverage made with fresh fruit and/or flowers which is blended together with sugar and water (very refreshing). You also can bring your own booze which will be served to you throughout the night (note that you can’t purchase alcohol so if you plan on drinking, bring your own). When we arrived we were given our own preparation station at the table, an apron and our own recipe book we could take home and write notes in. As we worked through each course, each person in our group was given different things to help chop, peel or get ready to be added into the recipe. The class itself isn’t super labour intensive and is very well run and organized. Even though we did a five course meal, the class was only around three hours long, and that included eating (most classes run from 6-9pm). We all also had the opportunity to try our hand at making homemade tortillas! When I left My Mexican Kitchen my belly was not only satisfied but I also felt that I took away an authentic experience from the country that I can take home with me. 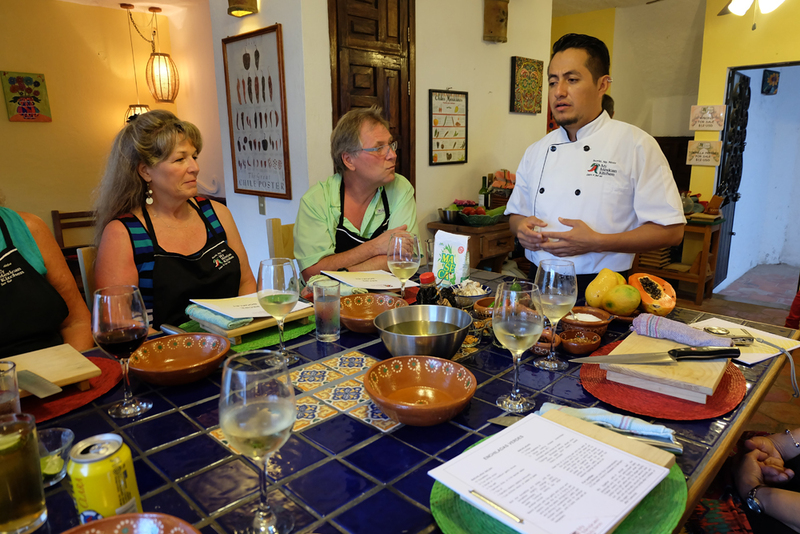 Joining one of these cooking classes can be great for a night out, or something different to do, but it’s also great for learning about the vacation spot you are vacationing in! 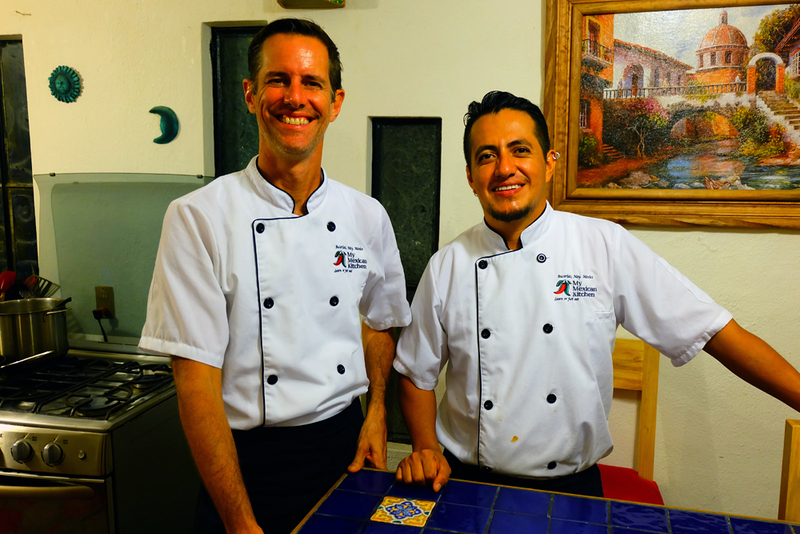 If you happen to find yourself in Bucerias or the surrounding area, I encourage you to try your hand at whipping up a Mexican meal with the help of Travis and Edgar at My Mexican Kitchen! Disclaimer: My Mexican Kitchen provided me with a discount in order to attend one of their cooking classes and write about my experience. 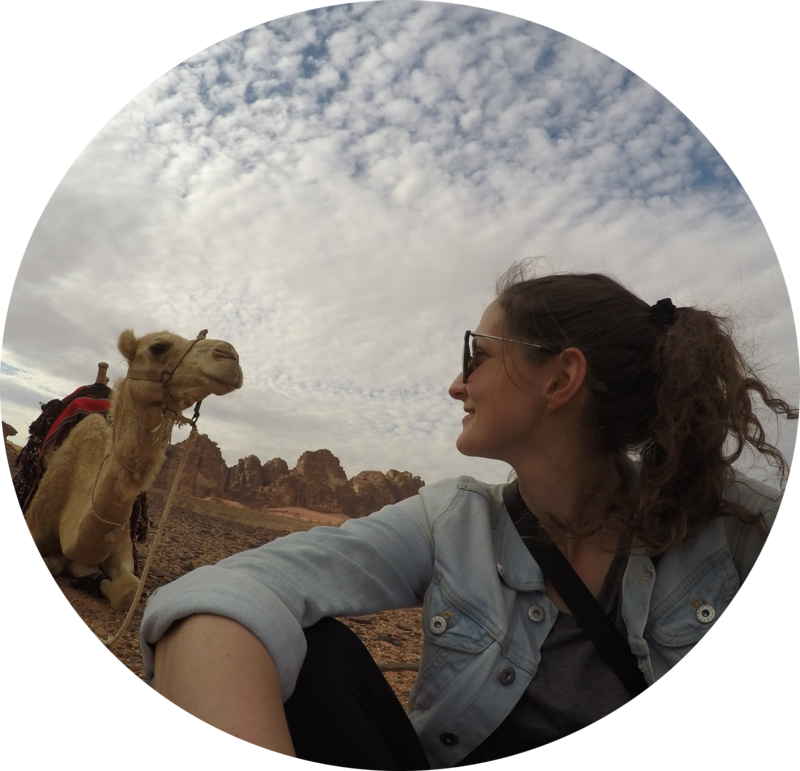 However, I only recommend things that I enjoyed and think other travellers would also enjoy. All opinions in this piece are my own and 110% honest. The evening with travis and Edgar was fun when we took a class in 2014. Very authentic and extremely tasty.next visit we will take the seafood class.,hopefully in 2018. This is an evening of authentic cooking with two wonderful chefs, Travis and Edgar. I highly recommend this class, I have done five and hope to do another class in 2018!